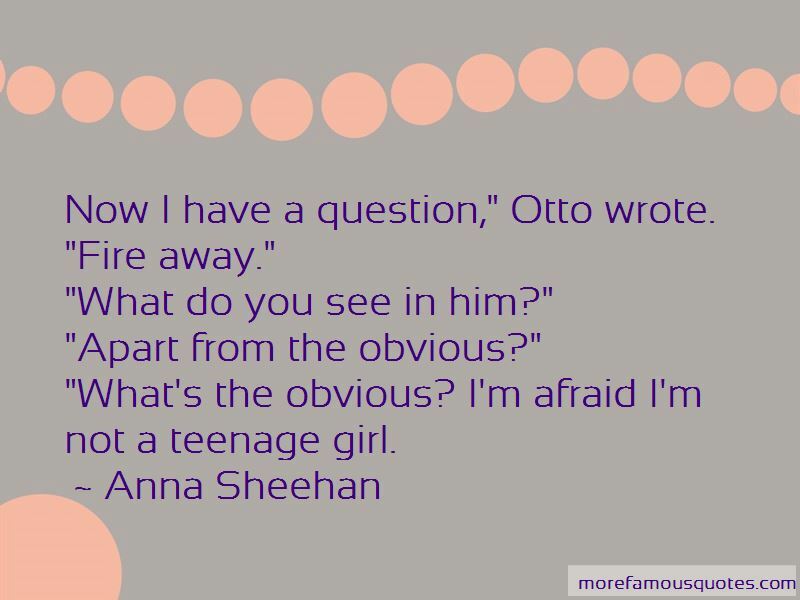 Enjoy the top 6 famous quotes, sayings and quotations by Anna Sheehan. “Now I have a question," Otto wrote. I am free. I am haunted. But if nothing else, I am wide awake. I haven't finished revisiting Sleeping Beauty. 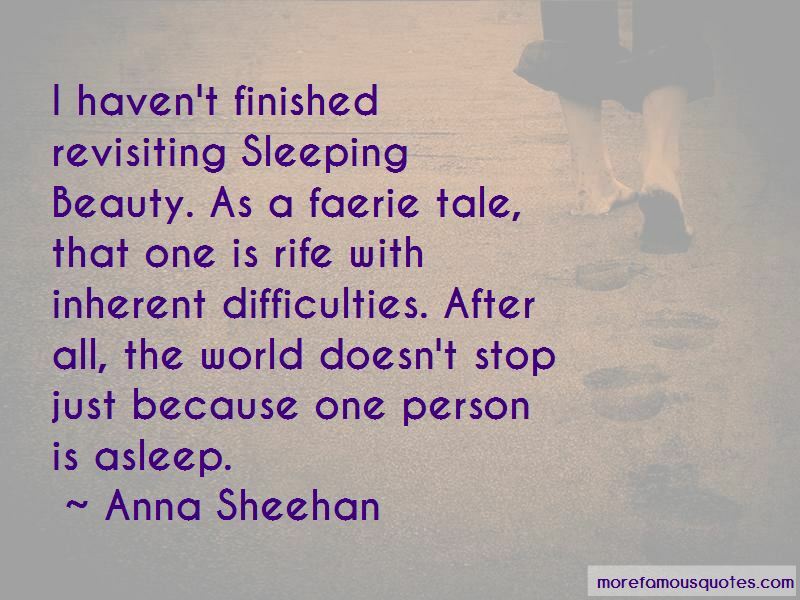 As a faerie tale, that one is rife with inherent difficulties. After all, the world doesn't stop just because one person is asleep. A fierce hand gripped my chest, squeezing my lungs. No. it wasn't my lungs. It was my heart. It was breaking. Wasn't I stronger than this? 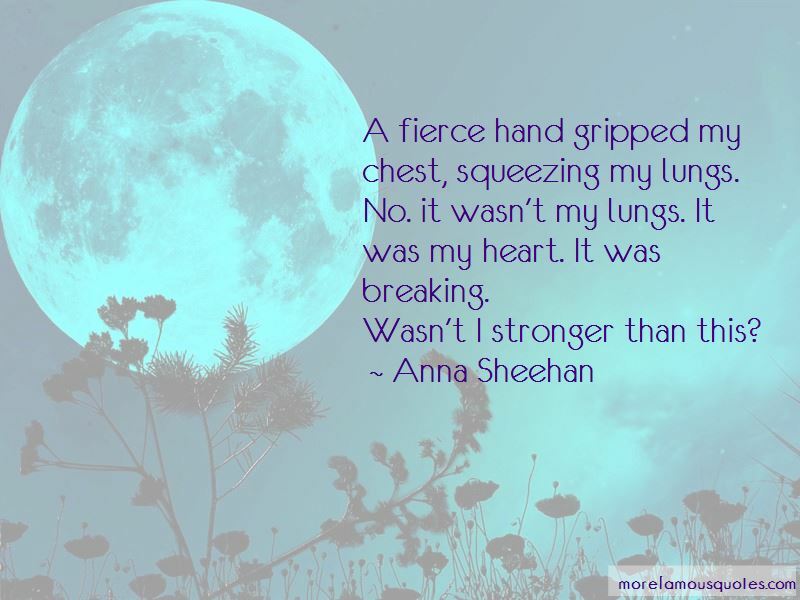 Want to see more pictures of Anna Sheehan quotes? 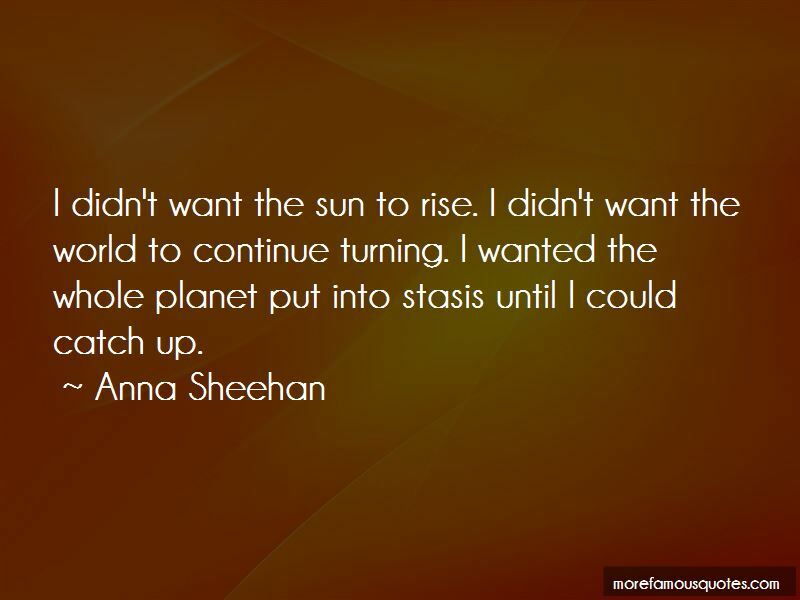 Click on image of Anna Sheehan quotes to view full size.